Improving accounting software and integrating it to the filling process. Thus, taxpayer can fill their PAYE straight from their accounting software and they do not have to follow a separate filling process. Employers now can also communicate directly with the IRD from these accounting software. By introducing the new way for filling, the government proposes that employer can now provide PAYE information to Inland Revenue at the time the business process occurs. This means that employer now can file the returns when the pay is calculated and they can make payment to employees and PAYE payment to IRD at the same time. The Government also wants to reduce the electronic filling threshold for PAYE and employer superannuation contribution tax from $100,000 to $50,000. The lower threshold means that they would expect to reduce the number of taxpayers filling paper returns. With the new proposals, taxpayer can file their PAYE returns straight from their accounting software. This means that employers do not have to go export PAYE information from their accounting software and import it to PAYE e-filling. It would save the taxpayers lots of time and effort as they can prepare the PAYE returns in their accounting software and fill it to the IRD straight from the software. The filling process would become easier and employer can reduce their compliance costs. By lowering the PAYE electronic filing thresholder from $100,000 to $50,000, more taxpayers will have to change their filling practice and go on electronic filling. It would help the IRD to reduce Inland Revenue’s costs to process the information, as they receive the online PAYE returns and less data-entry staff is required. It would also reduce the risk of manually enter data to the IRD system. The government is also considering to increase the frequency of PAYE filling as the employers can send PAYE and related deductions to the IRD at the same time they pay their employee. This will help the employers to be more informed about their PAYE position and better cash flows as they know the amounts to pay to put away available funds. There are some problems with the proposed changes. As they government propose for regular filling, it would be more likely to increase time and efforts and more compliance from the taxpayers. As the requirement for a regular filling (instead of filling monthly, employers have to do it fortnightly and weekly), employers need to spend time every week or fortnight to prepare for the returns. Although it is easier to file the returns through accounting software, employers still need to take appropriate steps to prepare and file the returns. If appropriate steps have not been made, there are high chances of error in the returns. Tax agent will likely to increase their costs if they have to do regular filling. Thus, regular filling will lead to an increase in time and money for taxpayer to prepare. As the new threshold is introduced, the IRD should work on how to improve their internal system. Many taxpayers still have to submit paper returns find that it is quite difficult to register an account with the IRD. As the rules, only shareholder and director of the company can call IRD to confirm the company. However, these people with high ranking are often very busy and they do not have time to wait for hours on the phone waiting for reply. IRD should simplify the registration process so it is easier and faster for people to apply online. The government also integrated business software into the GST filling process. Taxpayers can file their GST returns straight from the accounting software. Proposed changes also suggest that GST refunds to be direct credited straight to a customer’s bank account. There is no need to send cheques to taxpayer for GST refunds. Some considerations also make to see whether they should introduce a threshold for taxpayer to submit their GST returns electronically. Integrating accounting software to the income tax filling process as well. 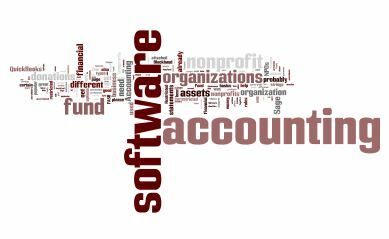 Give more power to accounting Software Company. Will they increase their fees? Then taxpayer’s compliance cost still increases anyway. Improvement of IRD call centre facility and its internal system. Will it increase chances of taxpayer making mistakes? As filling tax returns become easier, they will do it themselves and make mistake. It will increase time and money to fix the taxpayer’s mistake.